Cookies are small pieces of text stored on a user's computer by a web browser. They allow the browser to "remember" things e.g. which page you last visited, your login name, your preferences and so on. 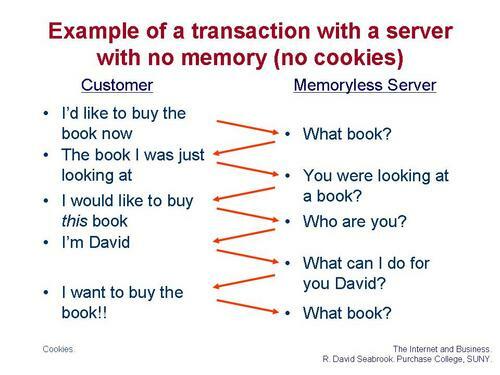 Cookies are essential to the operation of most web transactions. Some people get hysterical about cookies, but they are harmless and perform a vital function. However, one type of cookie — a tracking cookie — allows web sites to track some of your browsing history. 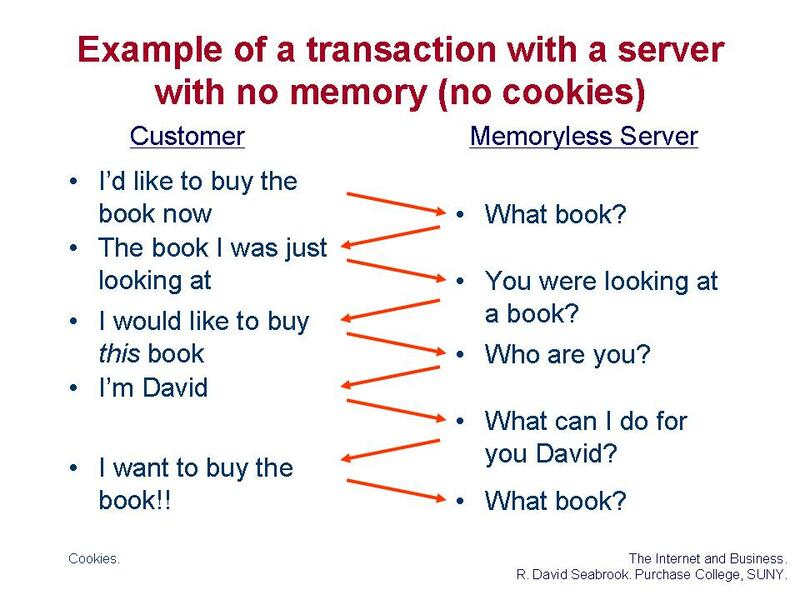 There are three types of cookies: session cookies, persistent cooking and tracking cookies. Amazon.com the web server recognizes you and provides customized recommendations. Tracking cookies provide information to advertisers. Tracking cookies are persistent. They are updated by each web site you visit in a network. A third party site collects the information from all the sites in the network. This information can be used to create a profile of your interests. The profile is used to target advertising relevant to your interests.